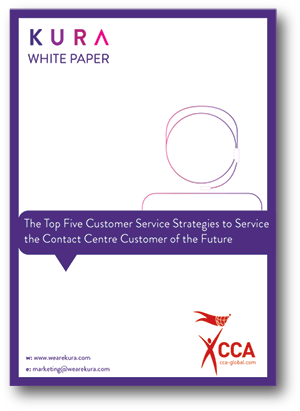 What are the top customer service strategies to service the contact centre customer of the future? Kura teamed up with the CCA to answer this very question. Through new, original research we asked the critical questions to understand where businesses were positioned today and their ambitions for the future. Insight from the report has revealed some controversial results. For example 63% of organisations surveyed said their biggest customer service challenge was reducing customer effort. However, only 8% of these organisations are actually measuring this metric. Moreover, 75% believe their contact centre advisors receive the correct level of training. However, one in five of these organisations also stated they don't believe their advisors are trained to handle complex interactions. Complete this form, to download your copy of this report.